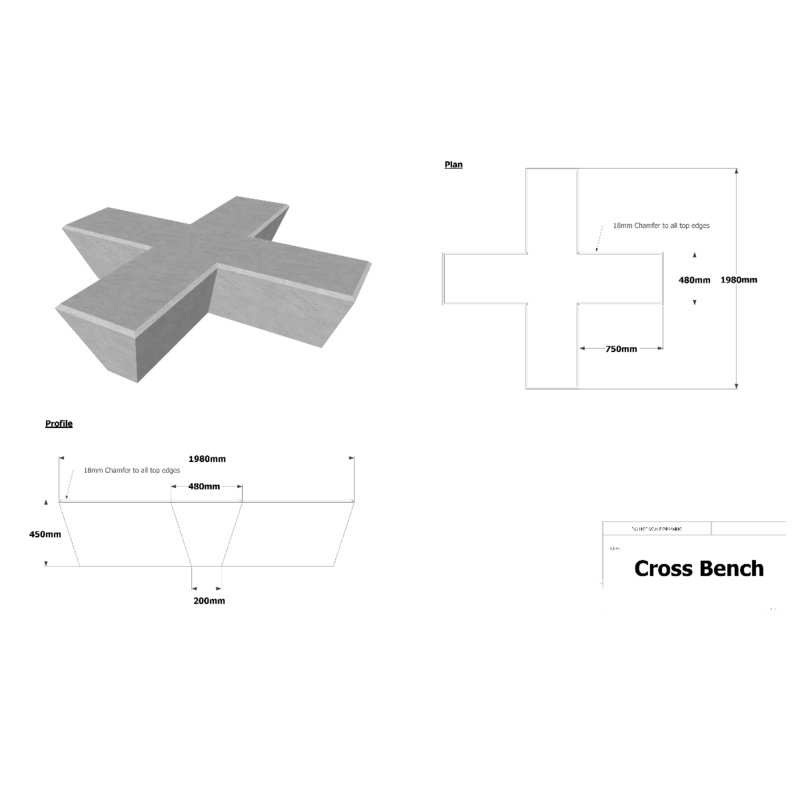 The Cross bench is a uniquely designed bench that has the ability to fit into varying difficult spaces whilst maximising seating space. Bringing style and versatility to any environment, it offers a long lasting function with different finishes available depending on the environment and requirement. We have the opportunity to finish in different colours so please don’t hesitate to ask if there is anything you need to know.